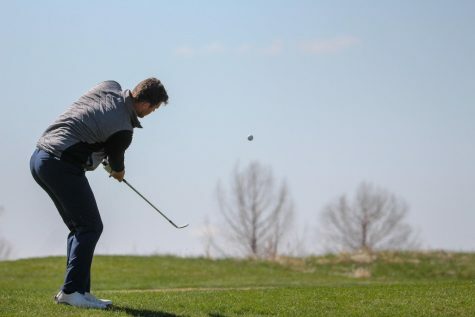 The Baker University men’s and women’s golf teams are poised to win the Heart of America Athletic Conference after a successful fall season and opening spring tournament. The women are on top of the HAAC standings after beating all conference opponents in every tournament so far this year, and the men are tied for first place with Culver-Stockton College. Both teams feature standout performers from Graceland University Spring Invitational in Maryville, Mo., March 28-29. 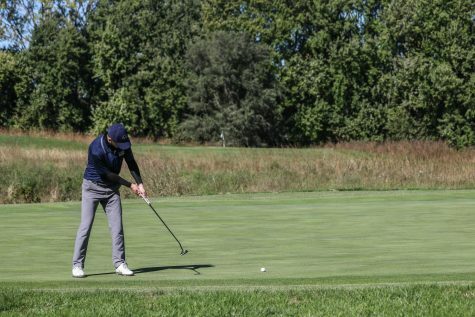 In frosty temperatures, Zuzelski shot 147 in 36 holes, achieving a first-place individual finish and helping his Wildcat team to a victory. The reigning HAAC Men’s Golfer of the Week was impressed by his teammates’ resolve in the bitter cold. “The mental exhaustion was so great, it kind of shut our bodies down, but it was great to see that we can keep on top of our game when everything was going against us,” he said. On the women’s side, sophomore Lindsey Mateer, the women’s HAAC Golfer of the Week, finished second individually, and led the women to a fourth-place finish out of 14 teams. In addition to the cold, the pool of 144 golfers made for seven-and-a-half hour rounds, a far cry from the usual four-to-five hours. 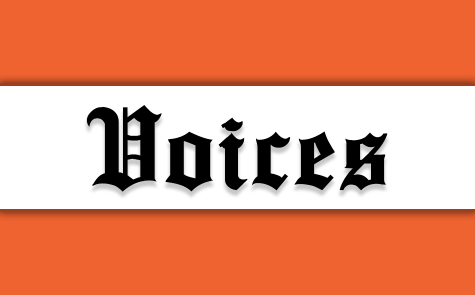 “Friday, we had a lot of time to think about our shots, which was nice, but could also be a bad thing,” Mateer said. Even head coach Karen Exon was physically drained from the long hours on the course. 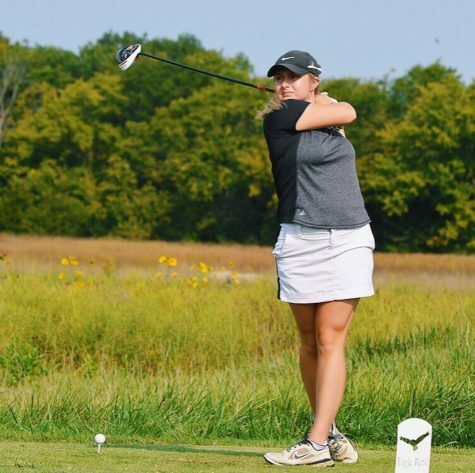 Mateer was last year’s HAAC Golfer of the Year, and she is on pace to repeat the honor this year but is still looking to improve. 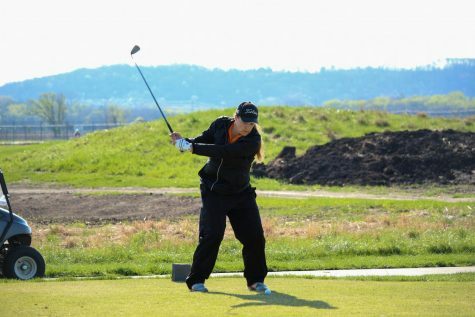 “Right now I’m working on improving my short game and keeping my scores low, playing how I know I can play,” she said. 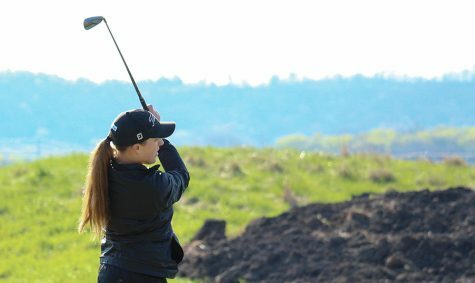 The women earned a few votes in the Top 30 ranking for NAIA golf teams, but Exon, a voter for the poll, did not place the Wildcats in her top 30. “I think our votes were from speculation, since we haven’t been at full strength, but I think we can get up there,” she said. The women were missing a pair of varsity performers over the fall. Sophomore Rebecca Holder was studying abroad at Harlaxton College, and junior Morgan Miller was out with a broken foot. The two will give more help to a squad that has not lost head-to-head to a conference opponent since the spring of 2012. Exon believes this year’s men are the best group she has coached at Baker in eight years.